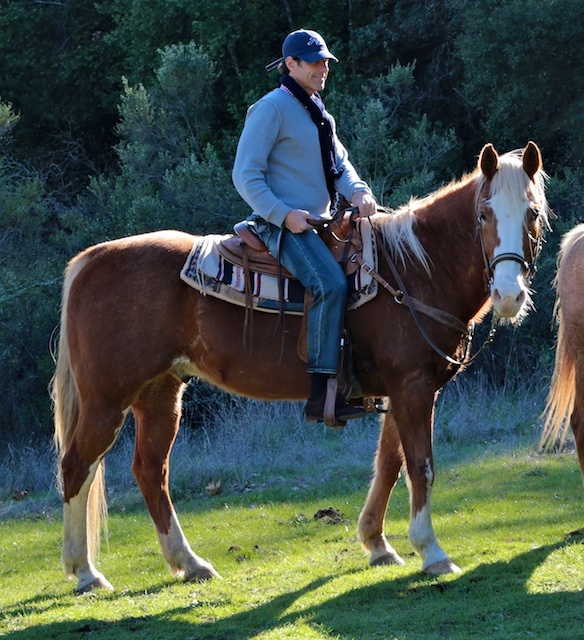 For the safety of our guests and our horses, there are some restrictions on who we can take for a trail ride. Children must be at least 8 years old and able to follow instructions to go on a trail ride. Children must be accompanied by an adult. For the health of our horses, our weight limit is 210 pounds. In addition, a rider’s height/weight ratio must fall within a safe BMI range for our horses. Please refer to our BMI Chart. Riders must wear closed-toe shoes. Athletic shoes or sneakers are fine; those wearing sandals and flip-flops will not be allowed to ride. For safety reasons, riders cannot bring backpacks, hats which could blow off the head, or wear excessively loose, floppy garments. Please note: The pace of any ride- Public or Private- is determined by the guide once the ride has commenced and all riders’ abilities are observed and evaluated. Trail and park conditions are also factors in determining pace of each/any ride. For more information please see our FAQs page and our Cancellation Policy.